I came across a great piece of software the other day. I sometimes write battle reports (after action reports – AAR) for wargames. They’ve always relied on descriptions of the location of the forces. However, recently I came across some software called Battle Chronicler that helps with all that, making deployment maps possible as well as enabling the ongoing action to be recorded. Best of all, there’s no cost to use this software for personal use. 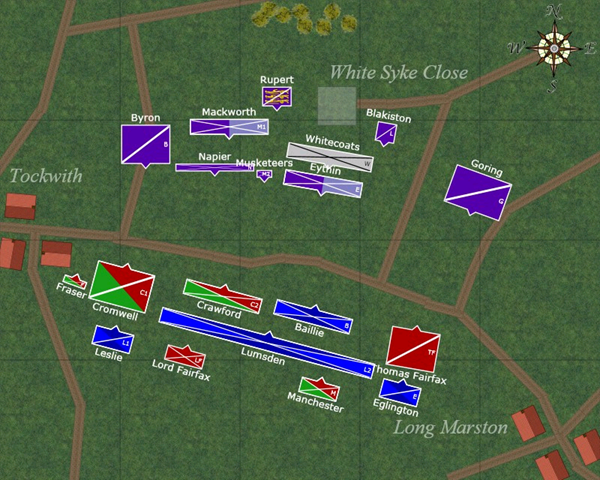 The illustration to the left is from the Battle for Marston Moor. Do stop by the Battle Chronicler page and have a look at this software.